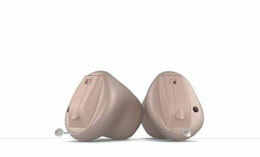 ensures we can provide the perfect hearing solution for you. 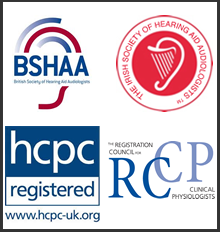 Michelle McCreesh is the Principal Audiologist with McCreesh Hearing. Michelle has over 15 years’ experience working as a Senior Audiologist with the NHS, and runs specialist hearing centres in Enniskillen, Donegal Town and Carryduff, Belfast. 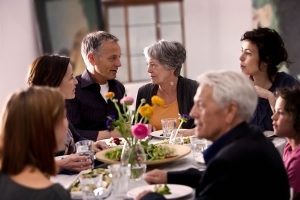 Hearing loss can be frustrating, and it can in some cases be stressful, affecting all age groups. Michelle McCreesh ensures the highest level of professional care is guaranteed in wax removal, early detection, diagnostic testing and fitting you with the latest hearing aid technology. 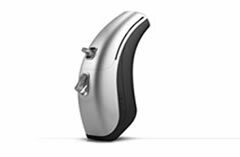 McCreesh Hearing have extensive experience in the prescription and fitting of hearing aids, helping you to select the most suitable hearing device for your individual requirements, hearing needs and budget. Microsuction is the newest, safest and most comfortable means of earwax removal at McCreesh Hearing. Unlike syringing or irrigation, no liquids are used meaning minimal fuss during the brief procedure. The procedure uses a microscope and a suction device, allowing Michelle to clearly see the earwax and in to the ear canal, making it an exceptionally safe and targeted treatment. It’s very hard to put in to words the difference Michelle at McCreesh Hearing has made to my life! I haven’t heard so clearly for years! As I result, I am socialising with my family and friends more and enjoying life to the full! 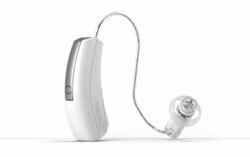 Initially, I was afraid I wouldn’t be able to get used to the hearing aid in my ear, but by the end of the free four week hearing aid trial, I was fine, and with the instant difference it made to my hearing I knew I wasn’t going to return it! Michelle’s aftercare is super and another reason to choose McCreesh Hearing . I’ve had NHS hearing aids for many years but really wanted something smaller and more discreet. Michelle listened to my concerns and with her extensive experience provided me with a hearing aid that met all my cosmetic requirements, hearing needs and budget. Something that I didn’t think would ever be possible! I highly recommend McCreesh Hearing, thank you Michelle. Having been to another private hearing aid consultant before, I was of the opinion that they were all much of a muchness. Wow how wrong I was! Michelle at McCreesh Hearing is definitely an expert in her field and remedied all of the issues I had been having with my device. Her product knowledge and experience have made a lasting effect on the quality of my life. Thank you for giving me my hearing back Michelle! My only regret is that I didn’t find McCreesh Hearing sooner! I have recommended you to all my family and friends. Will see you in a few weeks for my aftercare appointment. 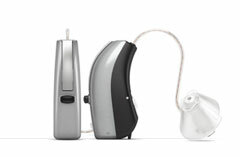 We offer a wide range of hearing aids from leading manufacturers. Let us help you to make the right choice.